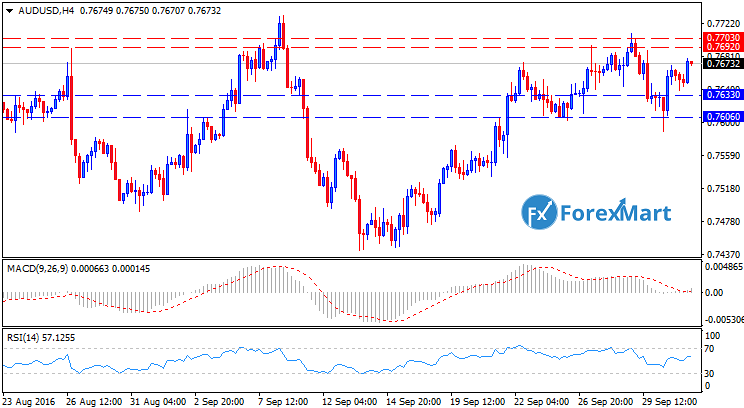 The AUD/ USD pair closed the last trading session in the higher trading range but was still unable to go beyond the 0.7700 range, with selling interest rates going stronger as compared to last week. The currency pair has now settled between the 0.7450 - 0.7700 trading range. The pair temporarily fell below 0.7600 last Friday but was able to recover almost immediately due to Fibonacci support. The volume of the Asian trading session for this week is expected to be somewhat limited due to China’s golden week. The daily charts are still exhibiting an upward trend, with prices still above the 20 SMA. Momentum levels are now consolidated above the 100 level and RSI indicators are seen to go beyond 56. The 4-hour chart now has a limited upward trend, especially since prices are having difficulty exceeding above the 20 SMA. On the other hand, other technical indicators are losing their momentum and is expected to go south. Monday’s session might be marked by a slight downward extension at the 0.7600 level. The USD/JPY pair surged to attain its two-week high of 102.27 points as a result of positive risk appetite after easing Deutsche Bank issues and OPEC oil statements increased the possibility of an interest rate hike in December. Meanwhile, the Japanese yen is still in the bottom rung of its trading range for the sixth straight session, its longest bottom-trend streak since March. The currency pair bottomed out at the 100.08 range last week after an increase in oil prices market risk-ons, as well as easing in Deutsche Bank concerns. Moreover, the Japanese yen is most likely to increase its selling power in the Asian session today after foreign QE talks by the Bank of Japan is seen to be gaining momentum. The currency pair is now dependent at the wider market sentiment. The market will now be focusing on the shares of banking firm Deutsche Bank, which has previously ended Monday’s trading session with marginal losses. If the USD/JPY pair manages to break above the 102.65 trading range, then this would expose the pair to the 102.78 range and go beyond an expected hurdle at 103.54 points. However, if the pair would go below its support levels of 102.00, then this could trigger a movement towards 101.57 points, which would then lead to lows at 101.00 points. The sterling pound was hit hard during the last trading session after UK Prime Minister Theresa May released a statement saying that the UK will be starting its formal process of leaving the European Union this coming March 2017. The GBP/USD pair is aligned fundamentally and technically, and analysts are expecting a retesting of the pair at 1.2796 points. The currency pair is now in full bearish stance. The GBP/USD’s inner trend line, bearish channels, 38.2, L3, and multiple rejection points at POC 1.2915-30 might cause the pair’s price to become rejected if another retracement occurs. However, if the GBP/USD would extend at the 1.2845 trading range, then there is a possibility that the pair would go beyond the 1.2796 trading range. In order to maintain its short-term bearish stance, then the currency pair must be able to stay below the 1.2950 trading range. 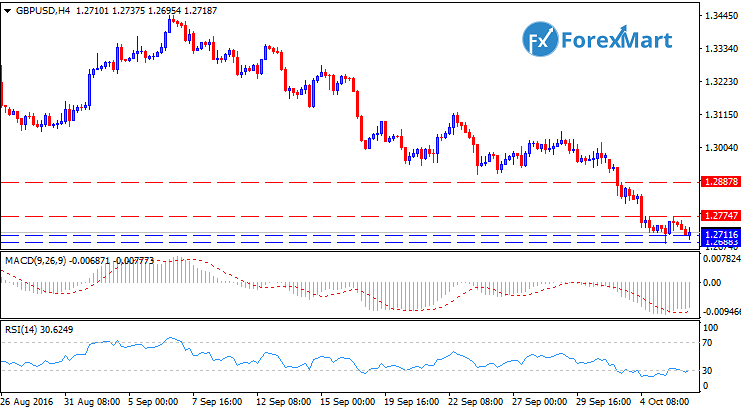 The EUR/USD pair hit all-new lows after succumbing to pressure during the New York trading session as the US dollar received a boost from positive US economic data. The EUR/USD pair was able to break through its range from the past session and was able to approach the 1.12 trading range but also managed to have support just a few pips beyond the psychological level. September saw the ISM Manufacturing Index increase by up to 51.5 points from August’s 49.4 points. The ISM index also went into the contraction range for the first time since February and went above the expected 50.3 range. Market sentiment surrounding the Deutsche Bank issue also somewhat stabilized during Monday’s session even as the German market was closed due to a holiday. European indices also increased due to an upsurge in oil prices. Technical support levels, particularly immediate support levels, are seen at 1.1183 points in the 100-day SMA, 1.1160 in the 200-day SMA, and 1.1122 points at the September and August lows. 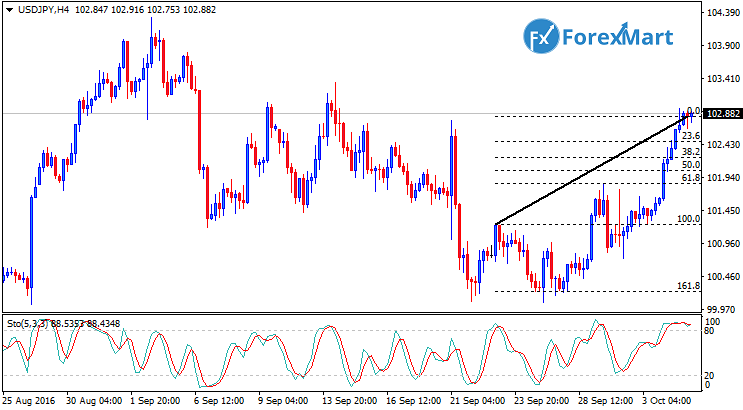 Resistance levels are at 1.1250 points for the September highs, 1.1283 points for the September 15 high, 1.1326 for the September 8 high, and 1.1365 for the August trading high. The USD increased in relation to the Japanese yen during the last trading session, with the USD/JPY pair closing the session at 102.90 points after increasing by +1.24% or 1.265 points. 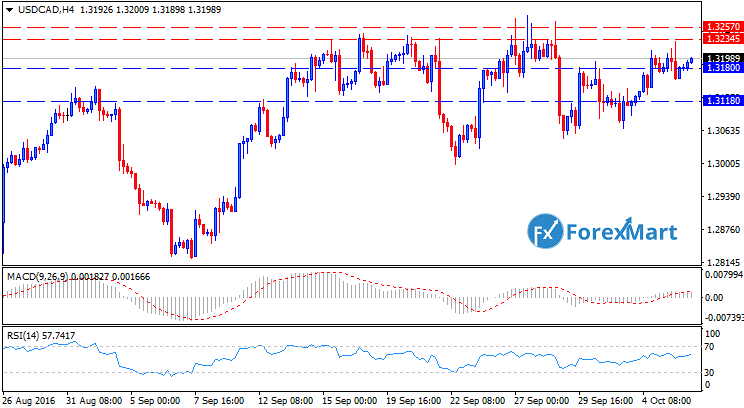 The pair’s current value is its highest trading level since September 15, putting pressure on the currency pair to exceed its highest level last September 14 at 103.351 points. The increase in the USD was mostly due to a significant increase in US Treasury yields. The positive ISM Manufacturing PMI data released on Monday triggered an upsurge in Treasury yields, increasing the possibility of an interest rate hike this coming December. Comments from Fed officials also strengthened the US dollar, after Federal Reserve President Jeffrey Lacker stated that there is a high probability that interest rates would be increased and that inflation rates would be put under control by increasing borrowing costs. The CME Group’s FedWatch indicator also showed that traders are seeing a 63% chance that the Federal Reserve would increase its interest rates during its meeting on December 13-14, an 11% increase from the previous reading after the last Fed meeting on September. This was also cemented by comments from the Federal Reserve Bank of Cleveland’s President Loretta Mester, who called for higher interest rates from the Fed. Fed officials, however, are keeping their respective profiles low as of the moment. The recent increase in value of the USD has caused certain currency pairs like the USD/CAD to move forward with their bullish runs, a move that has long since been anticipated for the currency pair during the past week. The USD/CAD pair was able to push through its resistance levels at 1.3140 points, even going beyond 1.3170 where it was met with marginal resistance and went with support levels after a gain of 1.3140 points. The Canadian and US trading sessions saw the USD increase its value by a significant margin and has caused the USD/CAD to go through the 1.3200 trading range, and market players are expecting that the pair will be able to reach its short-term targets at 1.3240 and 1.3280 with relative ease in just a few days. 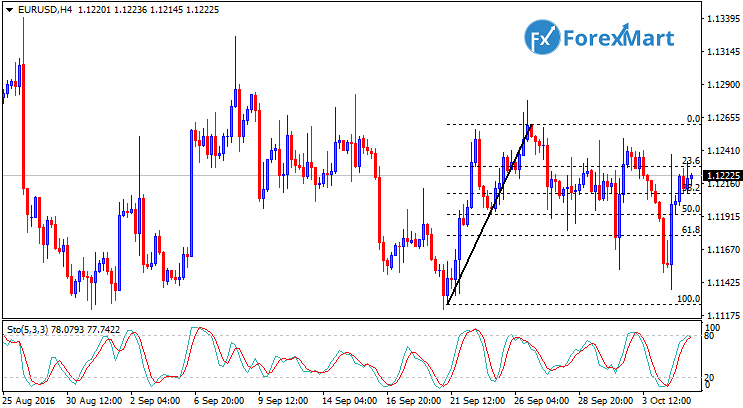 The currency pair is now at the support level of 1.3173 but is still expected to go above its present trading range. Market players are now awaiting the release of the Canadian trade balance data and the ADP Non-Farm Employment data from the US. These economic data should give traders an idea of the relative strength of the two economies, as well as the possible impact of lowered oil prices on both countries. This could then lead to an increased volatility towards the end of the next trading session. 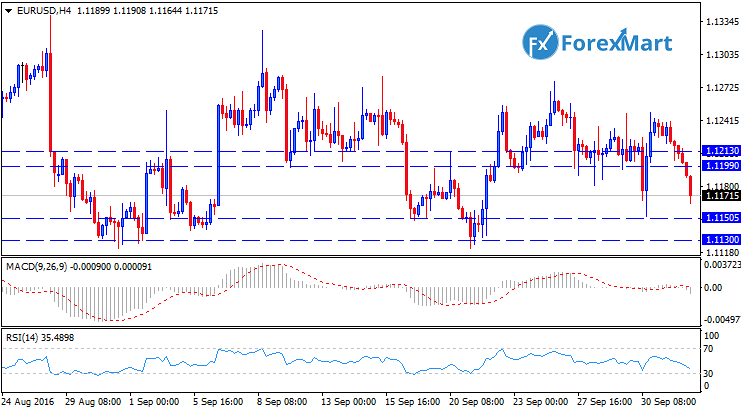 The EUR/USD pair had increased volatility levels and was able to break through the small-scale trading range and went through the larger-scale trading range of 1.1145 and 1.1245 points. The early part of the trading session saw the USD gaining strength after it lost a significant amount of its value last week. The euro was also able to break through its previous support levels of 1.1200 to gain new support levels of 1.1145 before going as low as 1.1137 points. The EUR/USD pair was also affected by the news that the ECB is currently studying the tapering of the QE. The EUR/USD went back at 1.1200 after the ECB rumors and went as far as 1.1238 before another headline was released, saying that this particular rumor with regards to the QE was not discussed in any of the ECB’s meetings, prompting the currency pair to go back down at 1.1200 points. This highly volatile movement of the currency pair is a positive sign for traders who are currently looking for market volatility. The market is currently not expecting any major news announcements from the EU, with the US ADP Non-Farm Employment data the only announcement expected from the US market. The ADP data will act as a precursor for the NFP announcement on Friday which is expected to provide a useful insight on the current state of the US economy. The CAD increased its trading value following the release of the US crude oil inventories data this week, which portrayed a drop of 3 million barrels. The drop in the weekly data for stocks was unexpected since forecasts showed a significant increase after consecutive drops in the data. The CAD has been previously on the lower rung during the first few hours of the trading session after the data released showed a decrease in trade deficits from August’s $1.47 billion. Meanwhile, the Bank of Canada is not yet expected to cut back on its interest rates in spite of the ambiguities portrayed in the recent trade data. This is because the BoC is still awaiting the fiscal stimulus data from the Canadian government and will keep the CAD from further appreciation by using dovish stances. Non-resource exports were not able to increase and the direction of oil prices are still uncertain after the OPEC’s cuts in its production will still be subjected to another review in another meeting in Vienna. 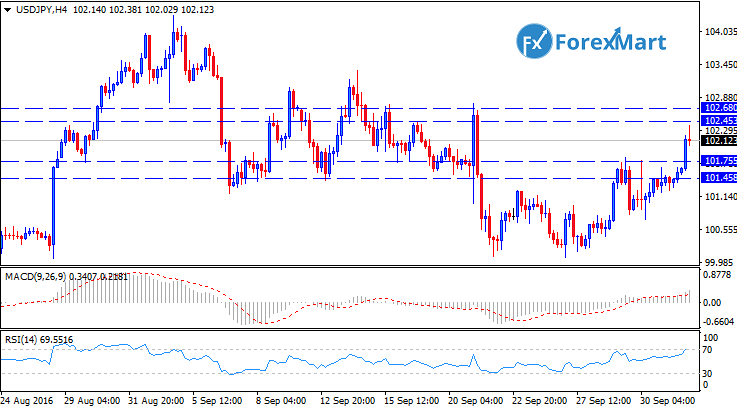 The USD/CAD pair decreased by up to 0.267 points during the last trading session. The currency pair is presently trading at 1.3166 points following an increase in oil prices. The CAD initially traded over the 1.32 price levels prior to the release of the crude stocks data but eventually plummeted to 1.3166. The GBP/USD pair is now trading within the 1.2370 range after the pair failed to take out in the 50-MA during the North American session and the Asian trading session. The two-year treasury yields increased by two points as a result of investors’ reaction to a heightened probability of an interest rate hike this coming December due to the positive data release of the ISM Non-Manufacturing PMI. The GBP/USD is generally on the downside since market players are generally worried about a possible “hard brexit”. Should the GBP/USD break above the 50-MA level of 1.2751 points, then this could increase the possibility of a break into the 1.2789 trading range, which would then cause the currency pair to target the 1.2836 level of the 100-MA. 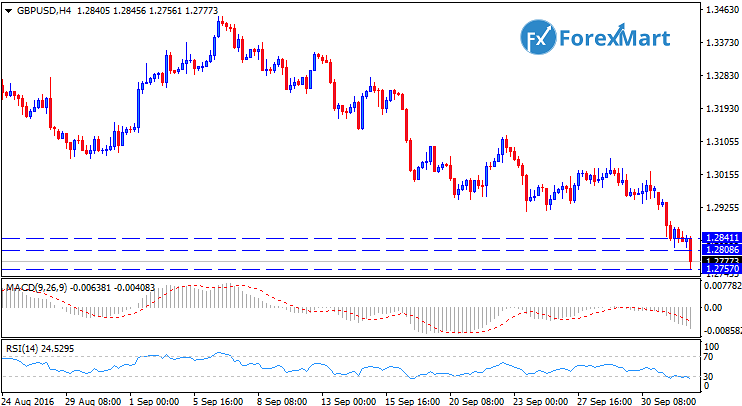 However, if the GBP/USD continues to decrease, then this could cause the pair to break below the support levels of 1.2685, which was the pair’s lowest reach during the last trading session, and can also lead to the 1.2590 range. The USD/JPY pair is now trading at the 103.65 range after its value reverted back to the middle of the 103 range. The currency pair went back into the red zone in the middle of the Asian trading session but was still able to go well above the 103 trading handle. The USD/JPY closed down the recent session at 103.45 points, decreasing by -0.07%. 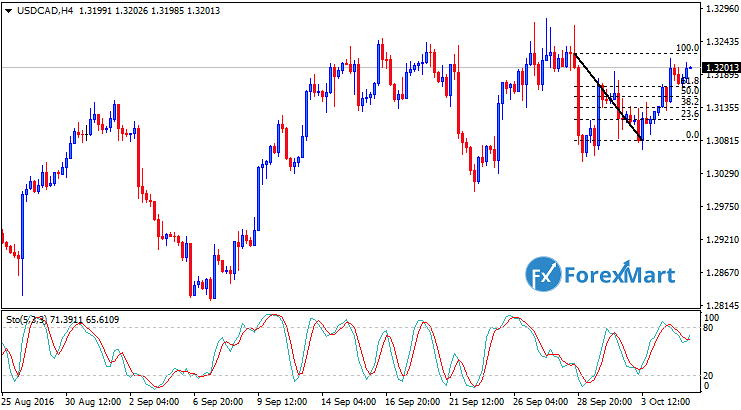 The currency pair is now collecting its rallies into per-month highs after consecutive US fundamentals all turned out to be on the positive territory, increasing the possibility of an interest rate hike by the Federal Reserve during the latter part of 2016. The release of the US non-farm payrolls data this coming Friday is seen as a determinant as to whether the Federal Reserve will be pushing through with its interest rate hike in December. The USD/JPY’s resistance levels are now at the 103.66 range. If the currency pair would be able to break through this particular range, then the pair could go within the 103.89 range and could possibly break through 104.14. However, if the pair further decreases its value, then it could hit immediate support levels at 103.00, 102.68 and even lower at the 102.25 range.